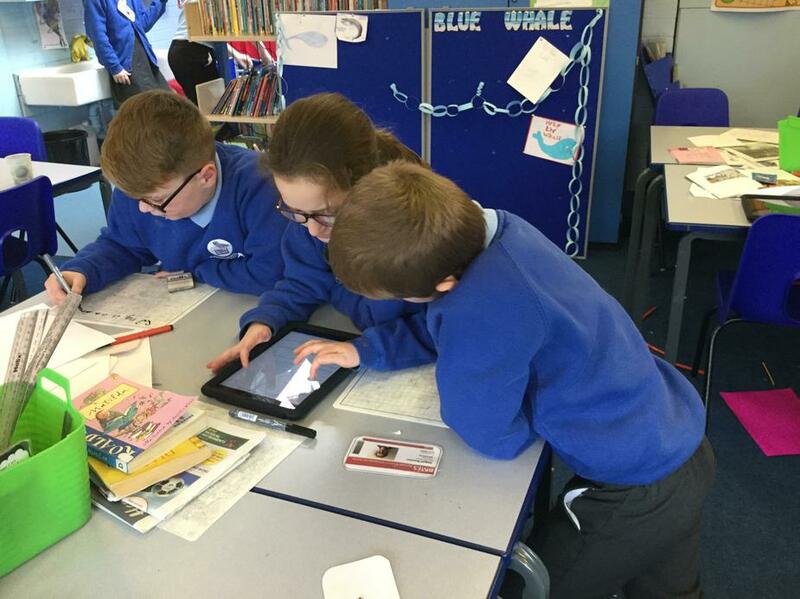 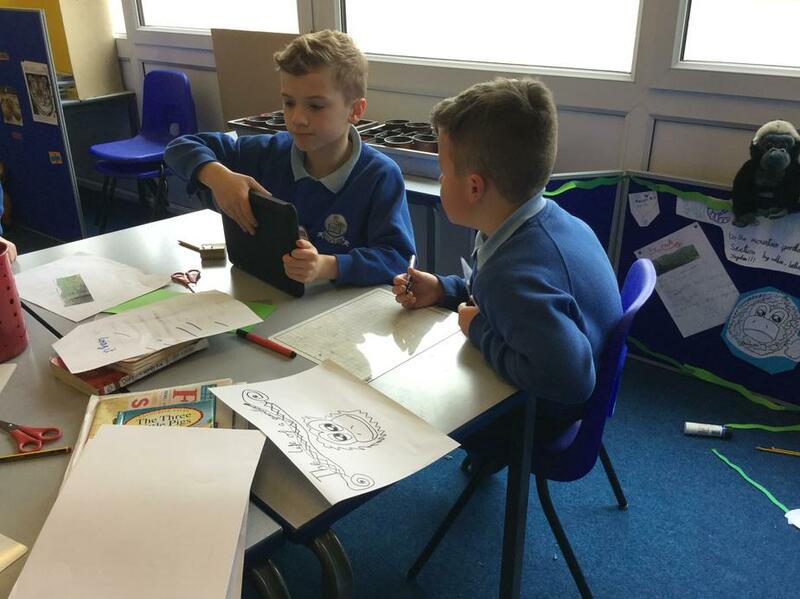 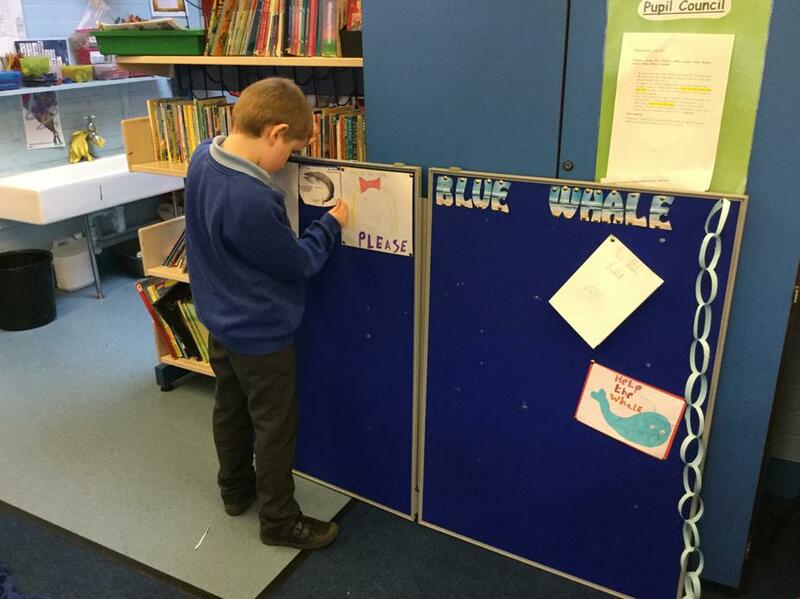 We had some very exciting ideas for our Pupil Voice Project this year. 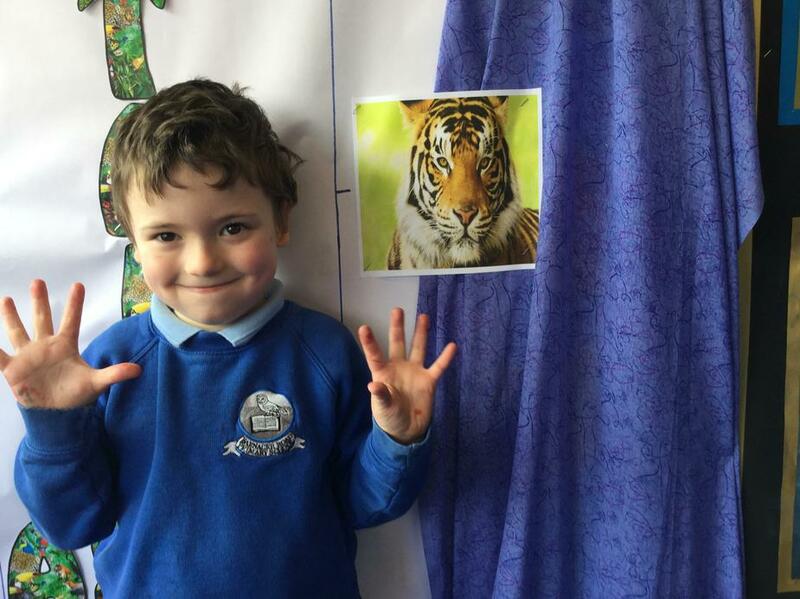 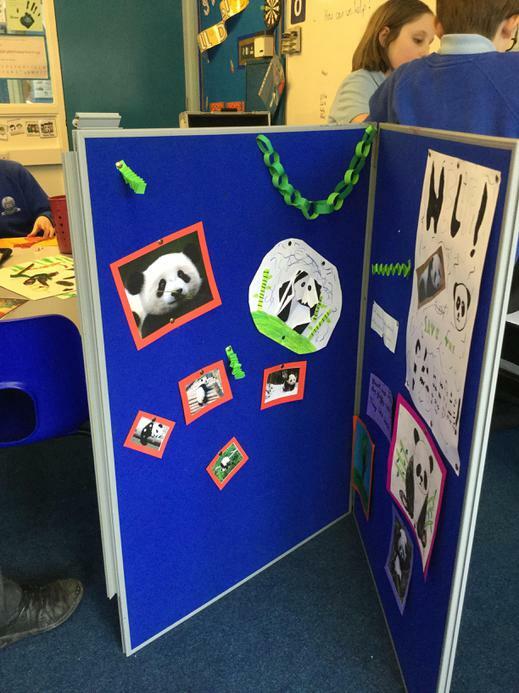 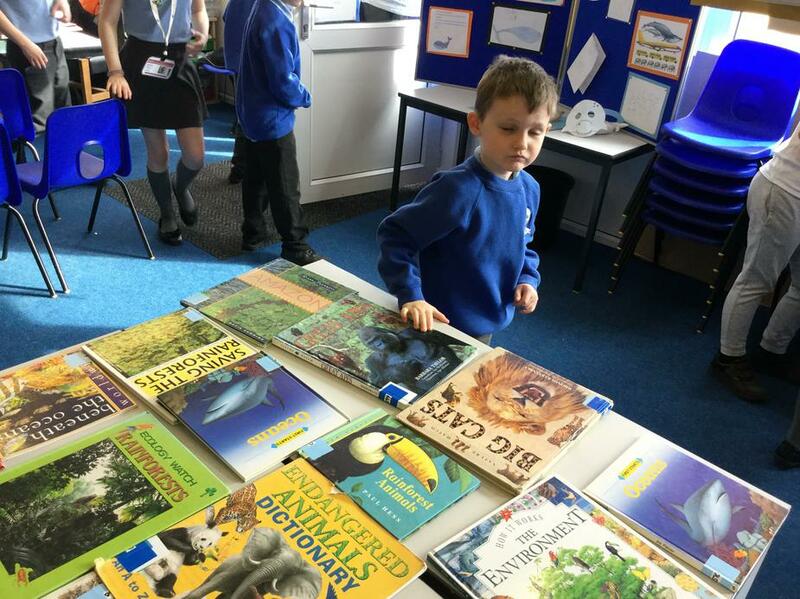 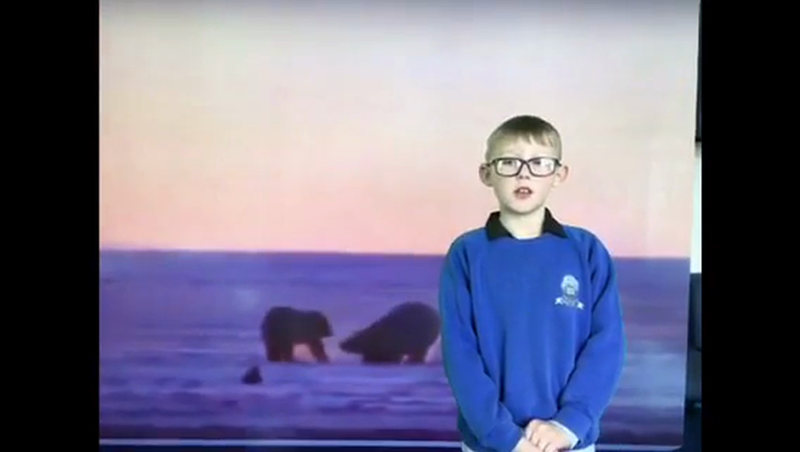 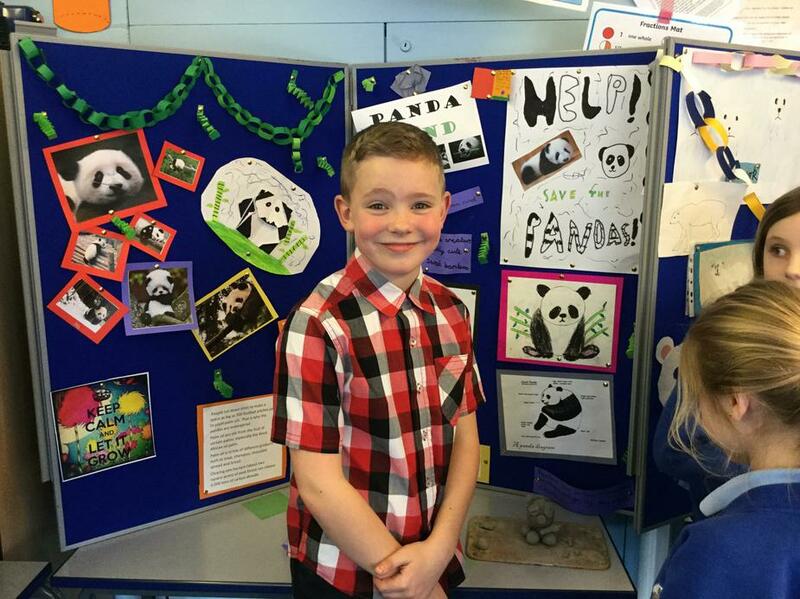 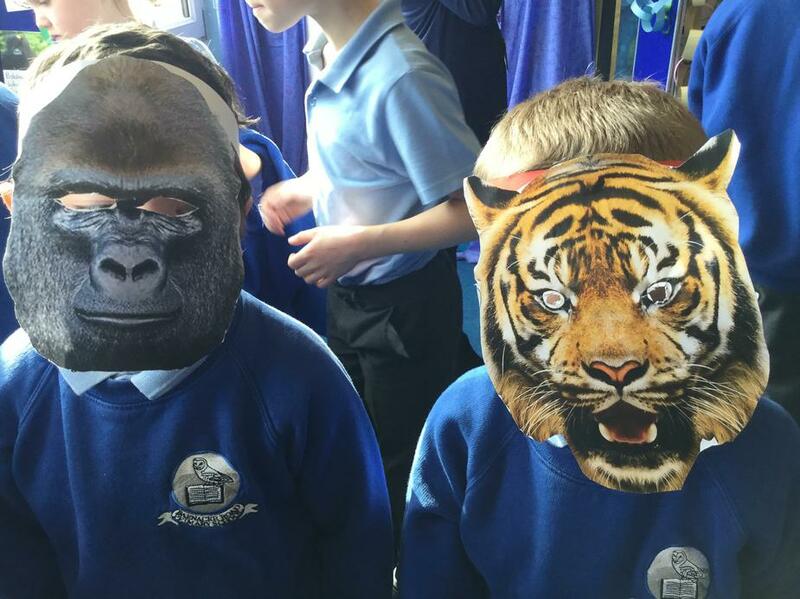 However the run away winner with over half the class voting for it was "endangered animals". 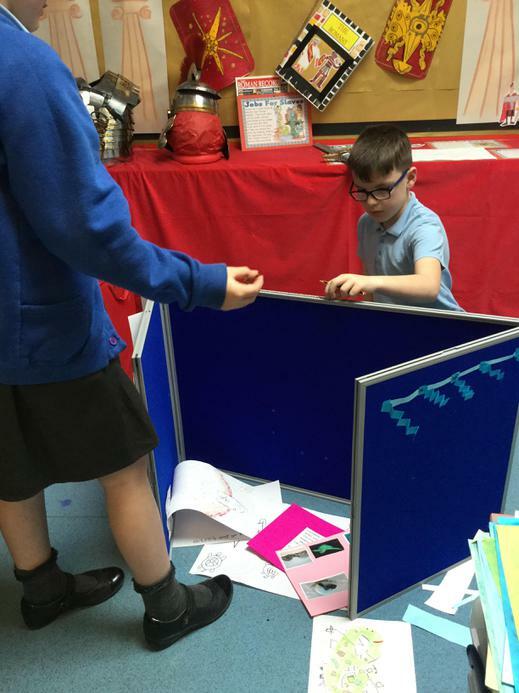 Check below for photos and details of our project as it progresses. 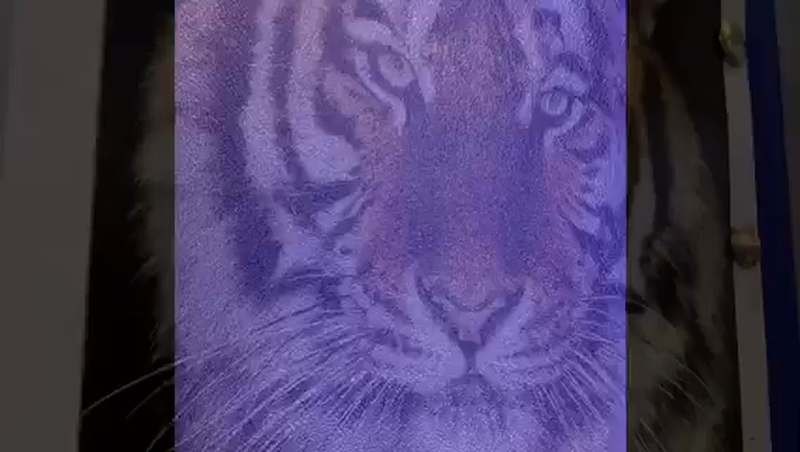 The orangutan drawn with pastels. 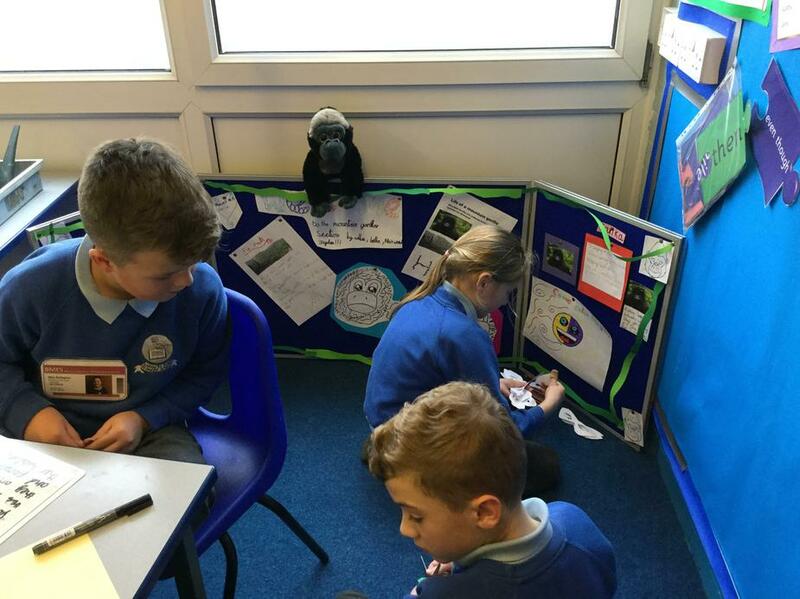 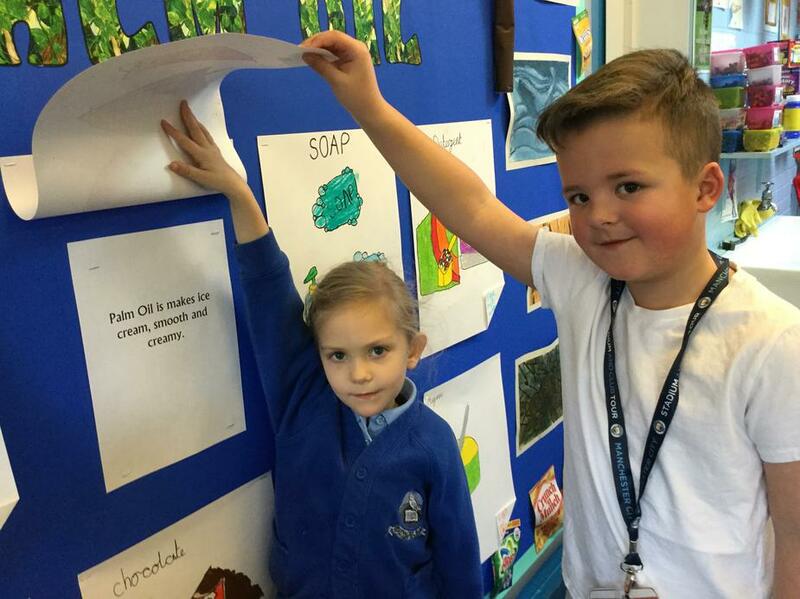 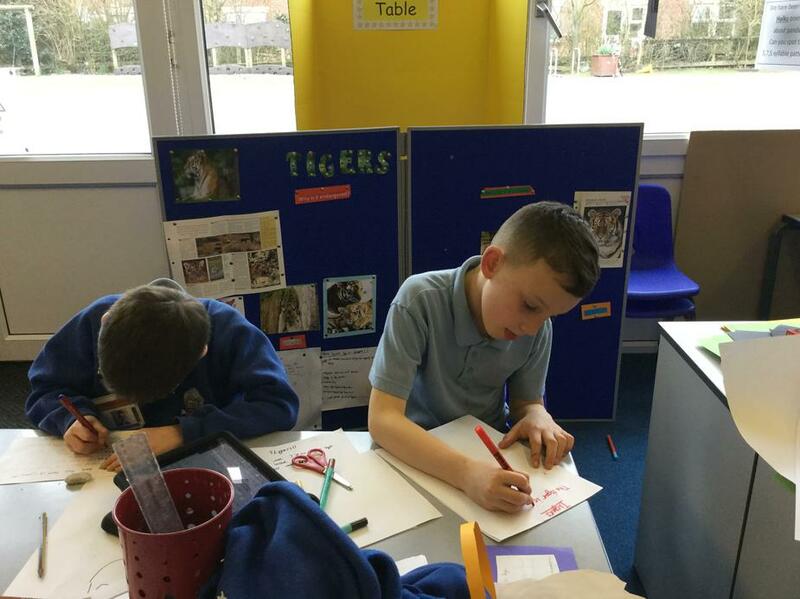 Great teamwork creating our boards for Barnacre Musem of Endangered Species. 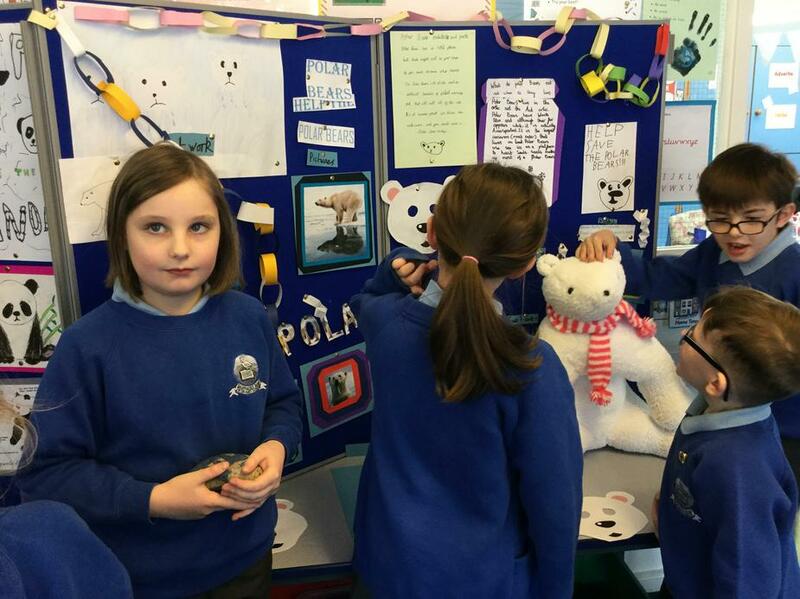 Open in school next Wednesday morning for the rest of the classes and available to view at parents evening next Wednesday and Thursday. 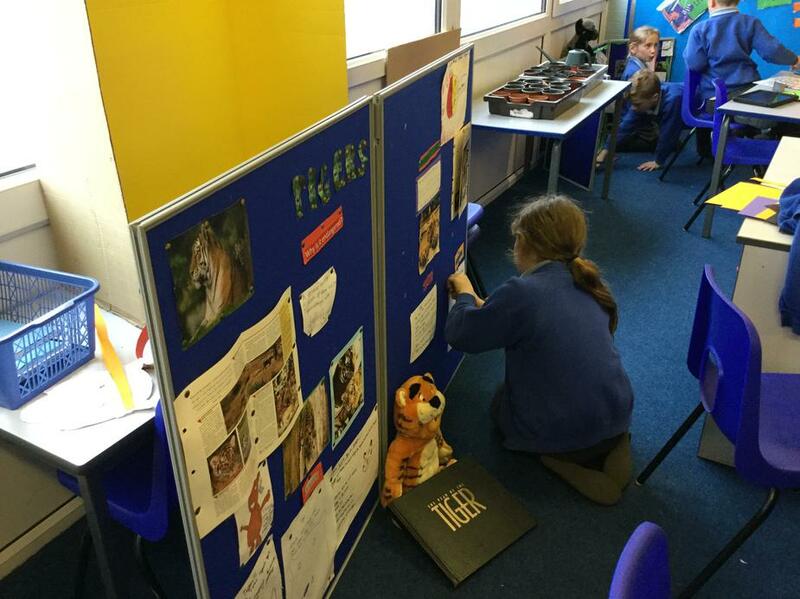 Here they are .....the final boards ready for our museum of endangered species. 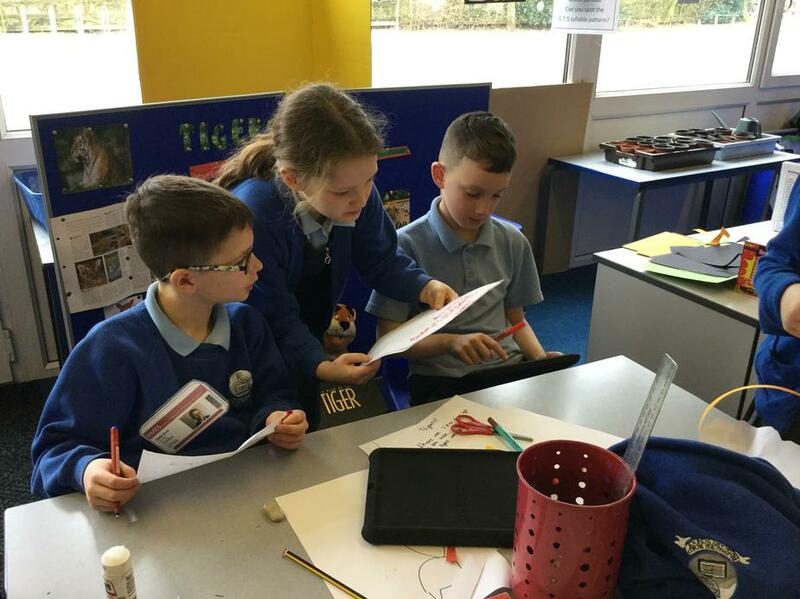 Here are the year one children being given a guided tour of the museum by our year four experts. 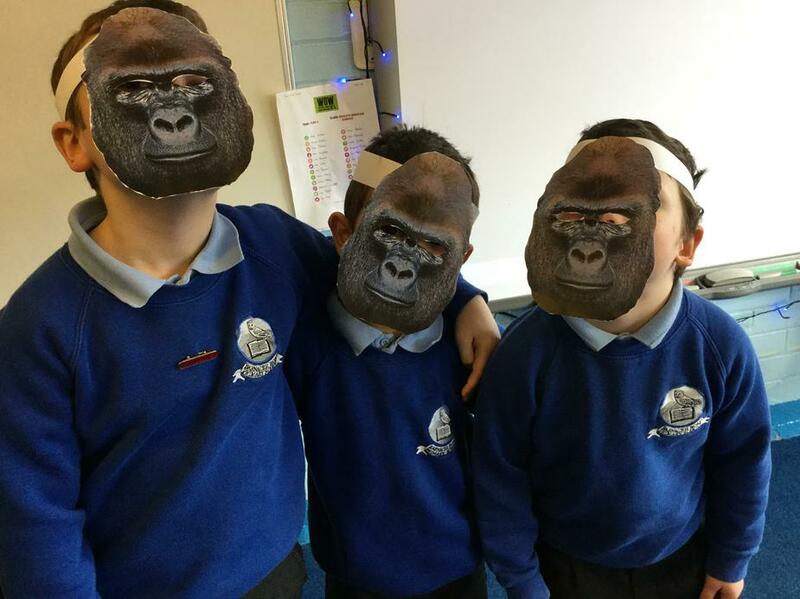 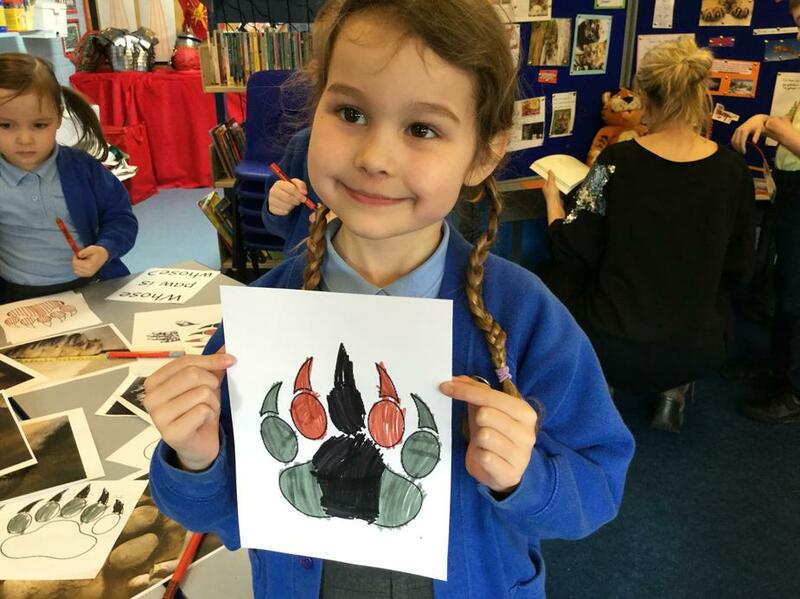 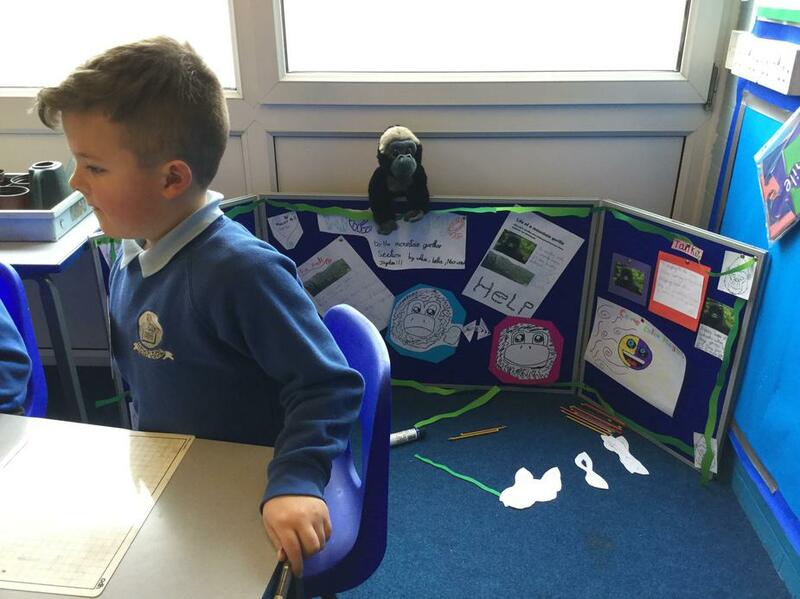 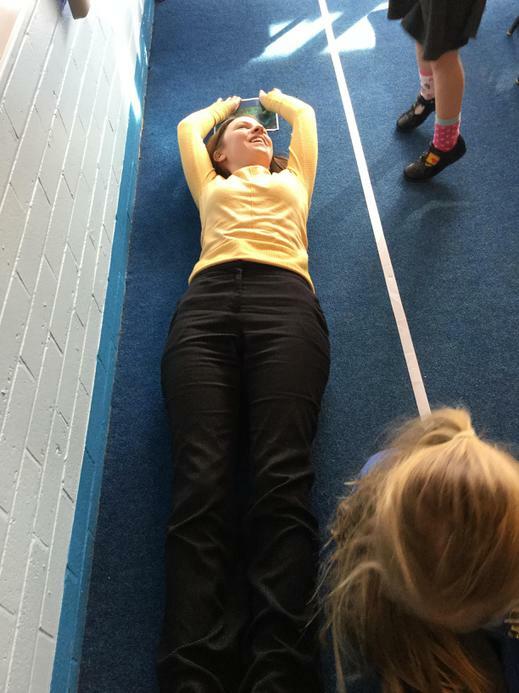 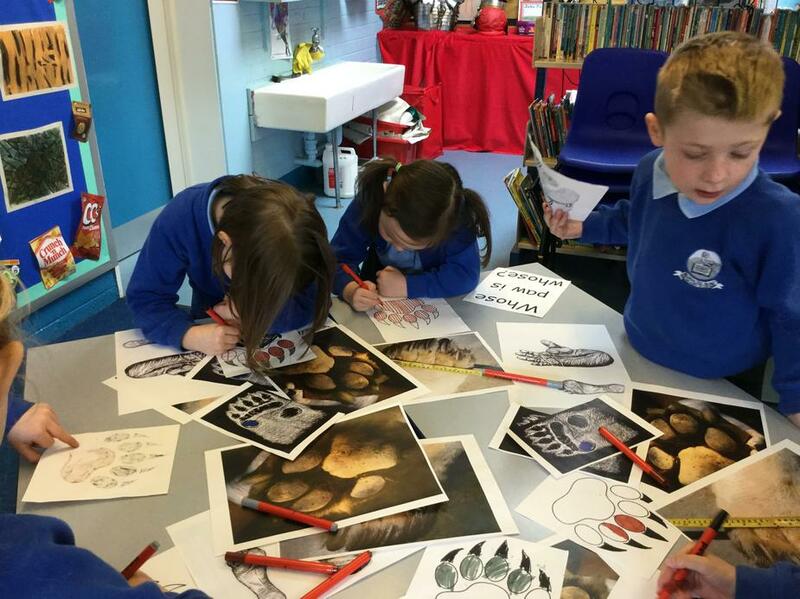 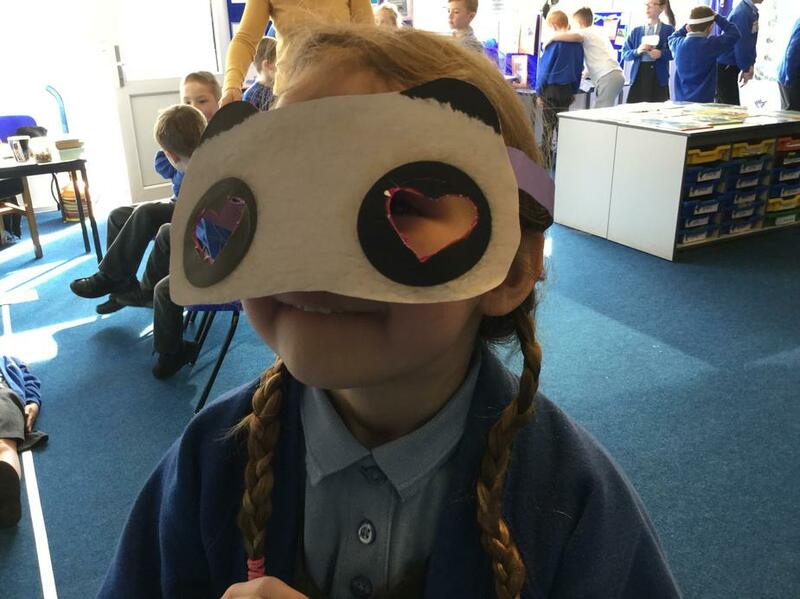 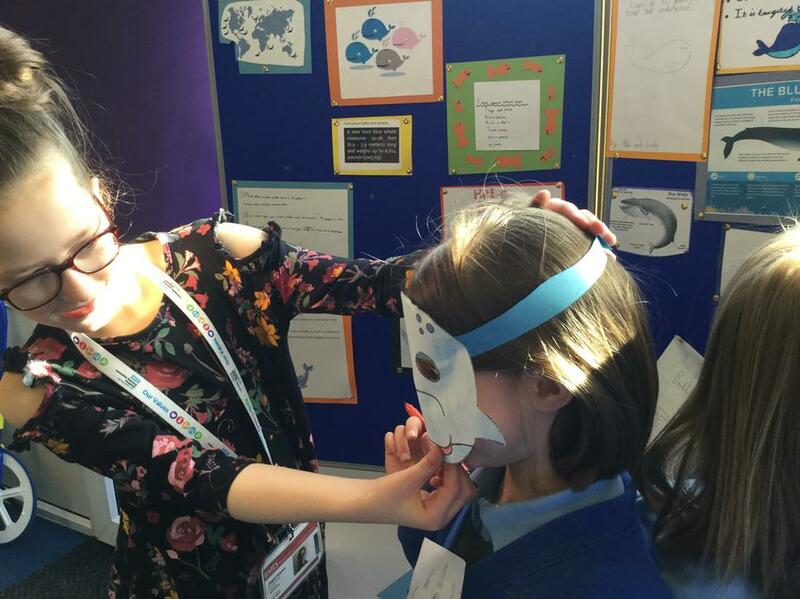 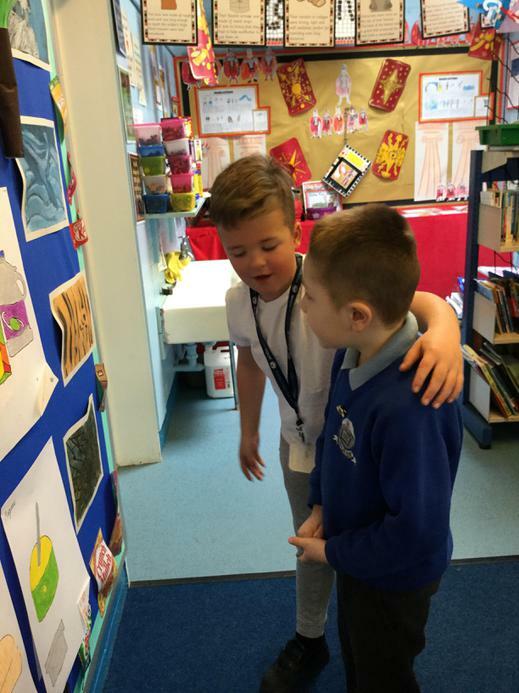 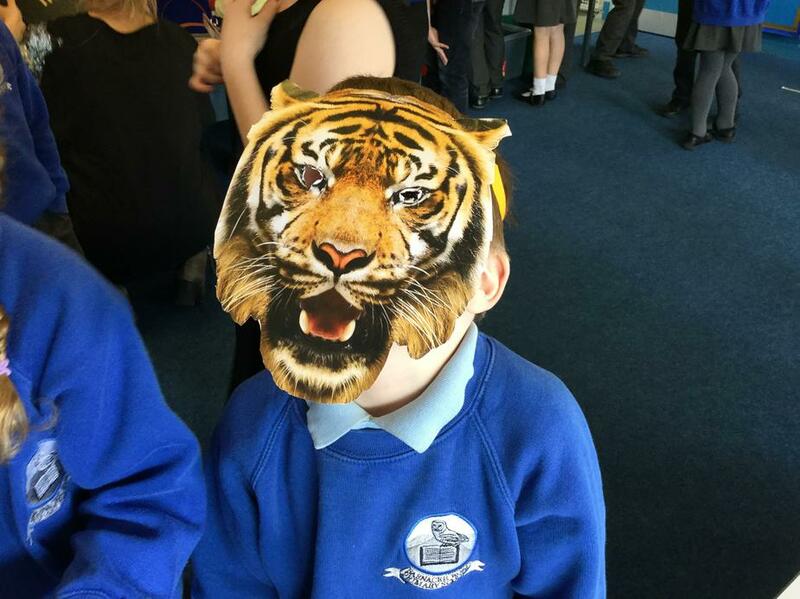 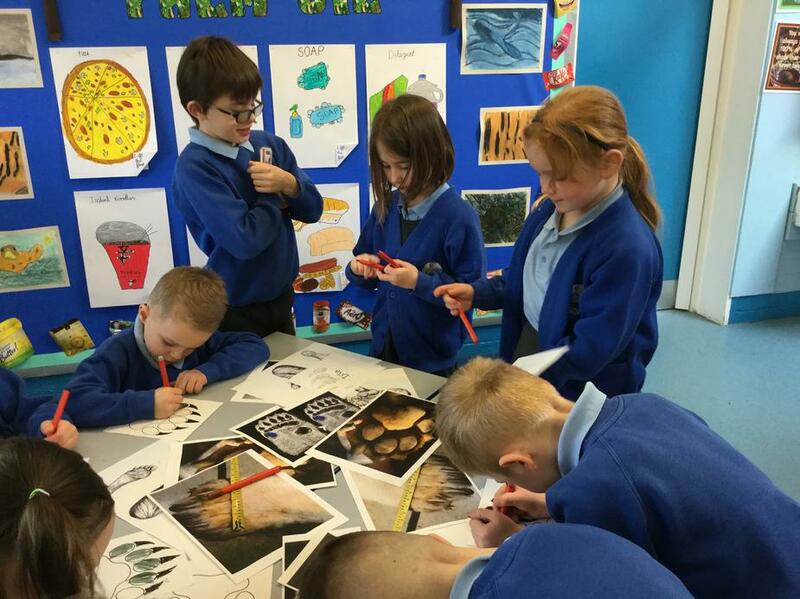 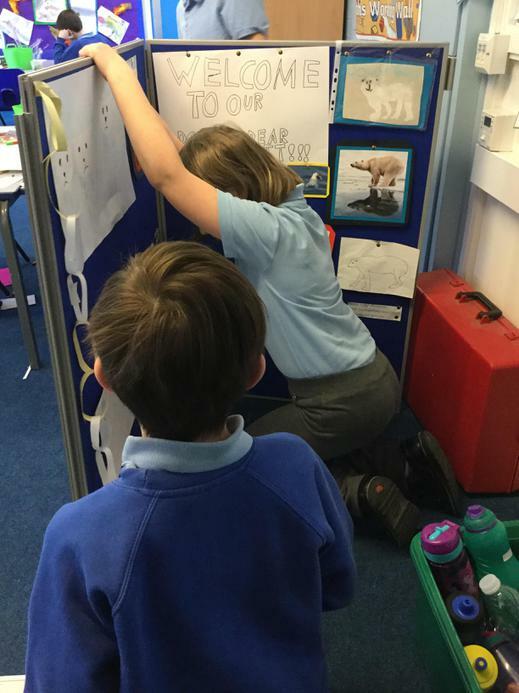 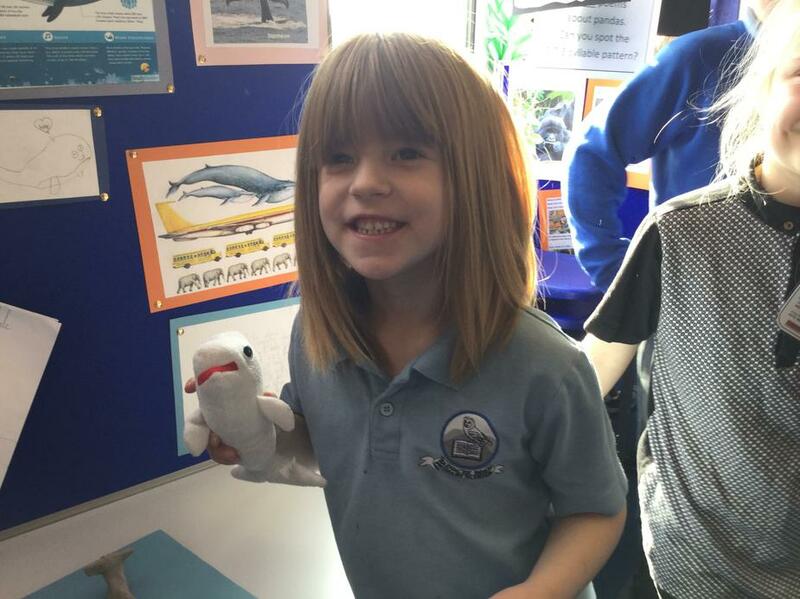 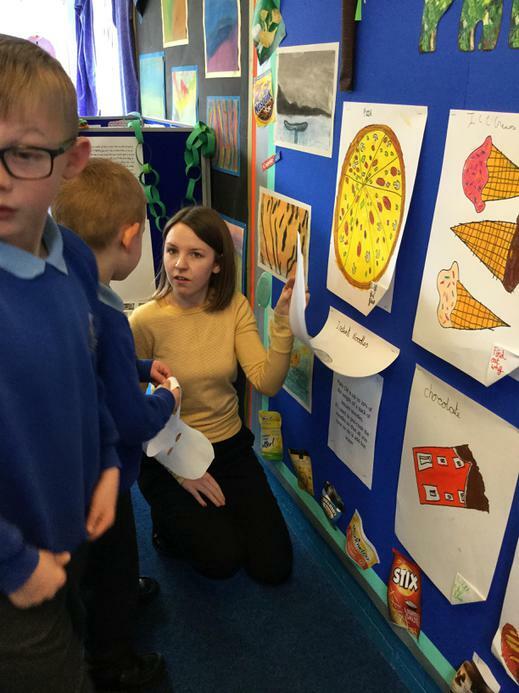 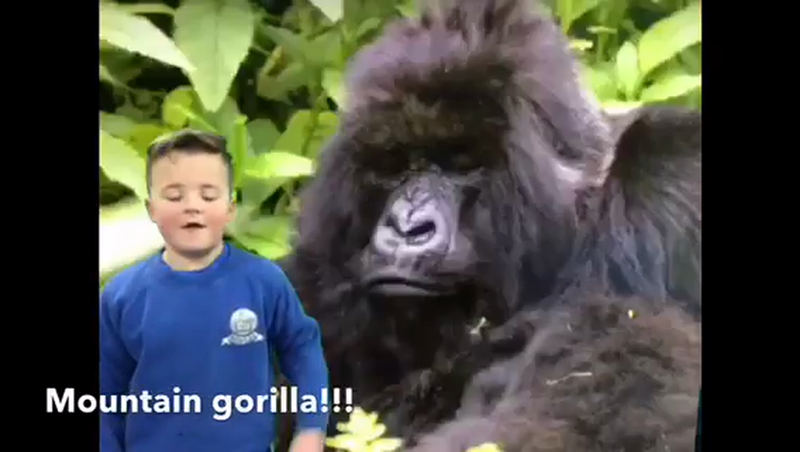 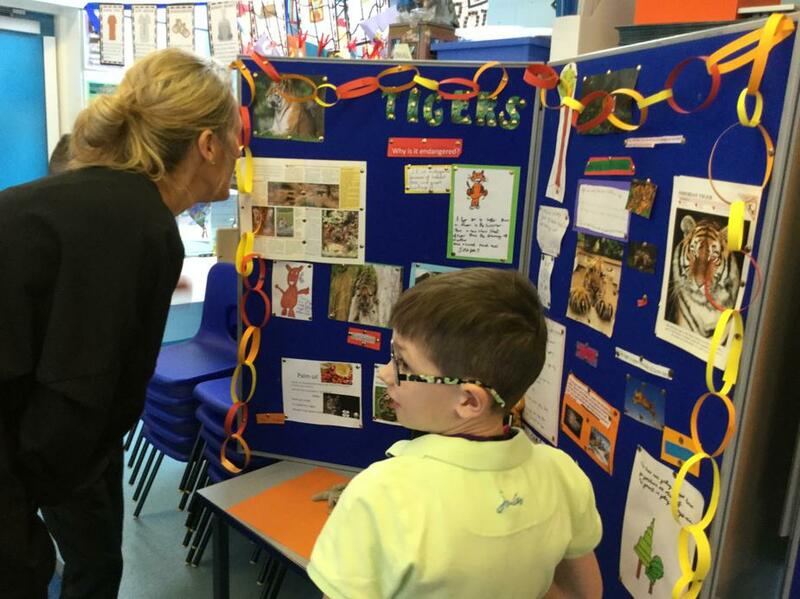 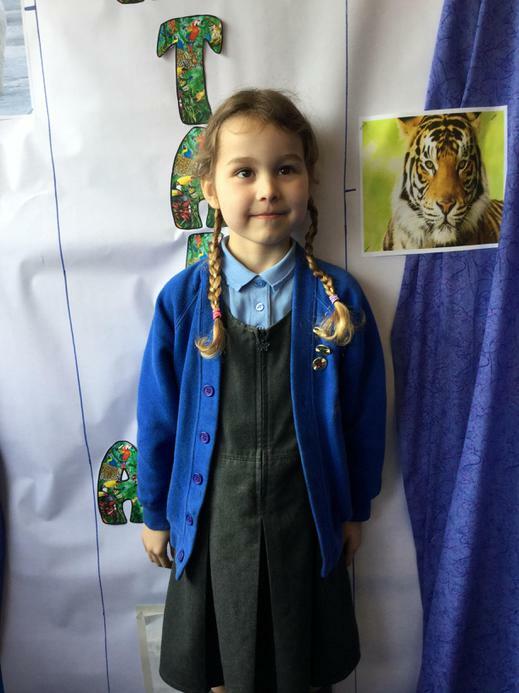 Not only did they get to learn about the animals, they made masks, looked at animal footprints, compared themselves to the height or length of different animals and watched videos prepared by the year four children. 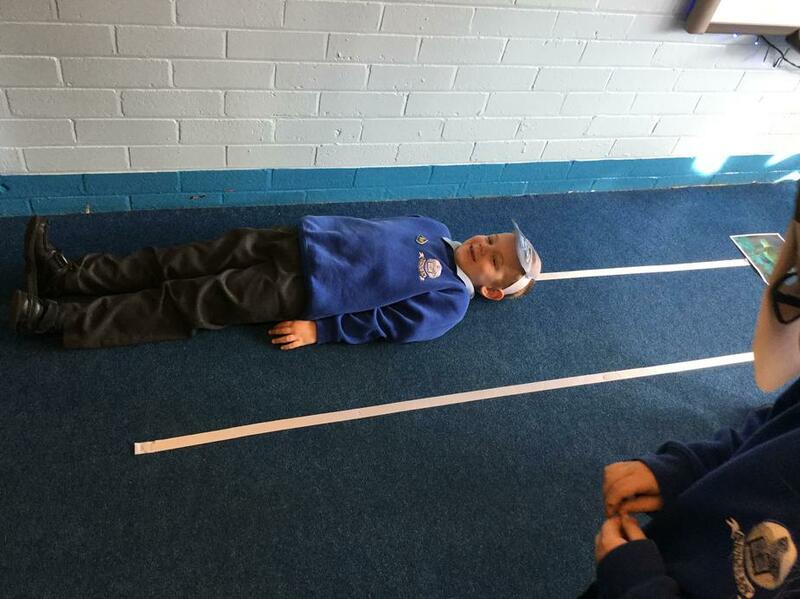 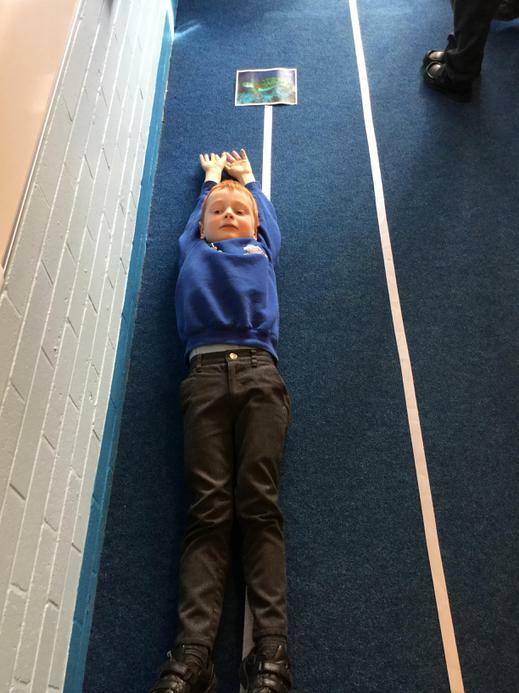 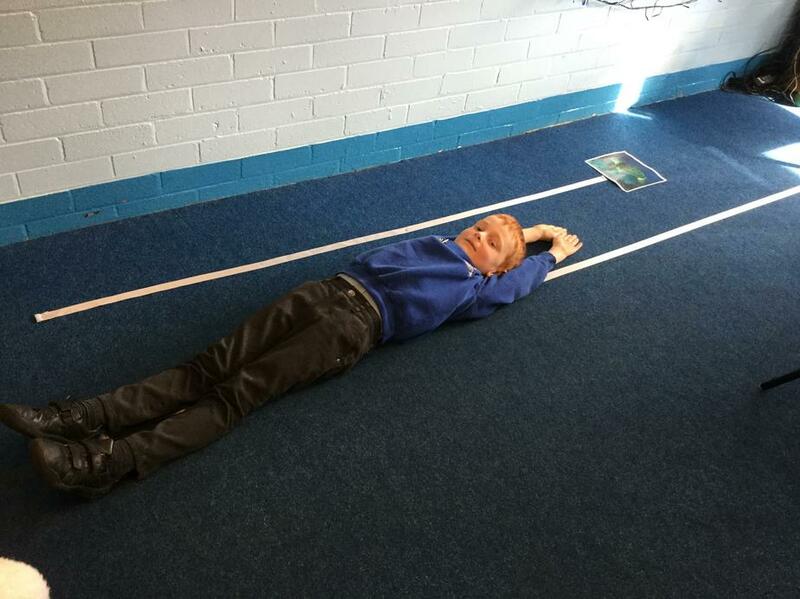 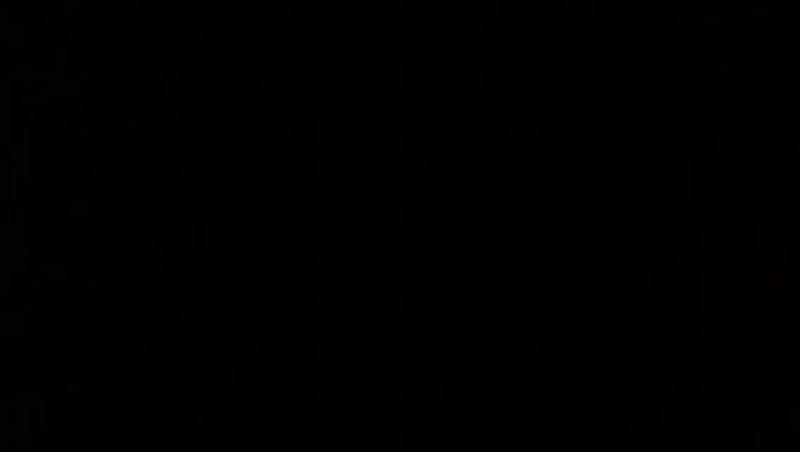 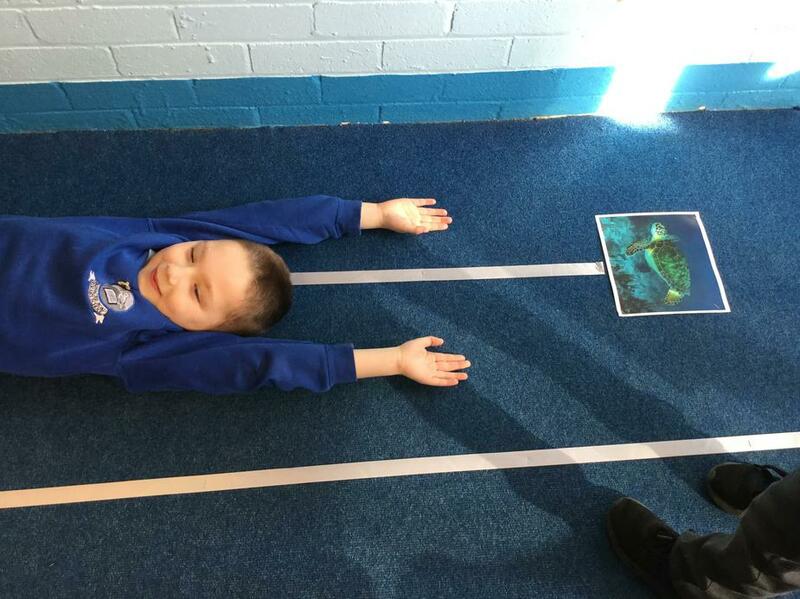 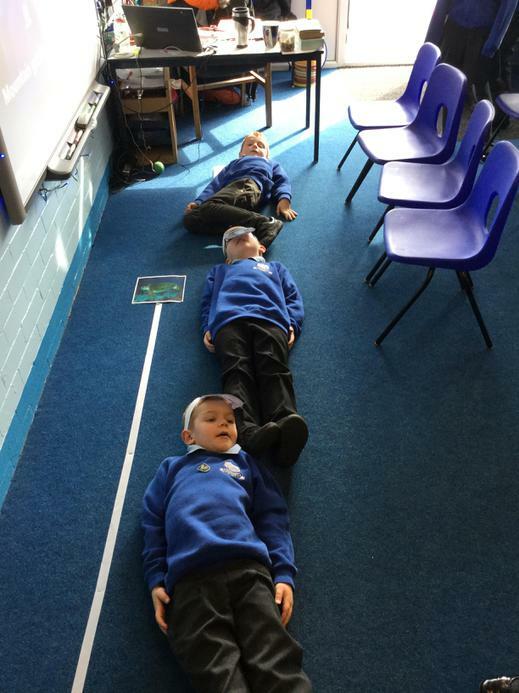 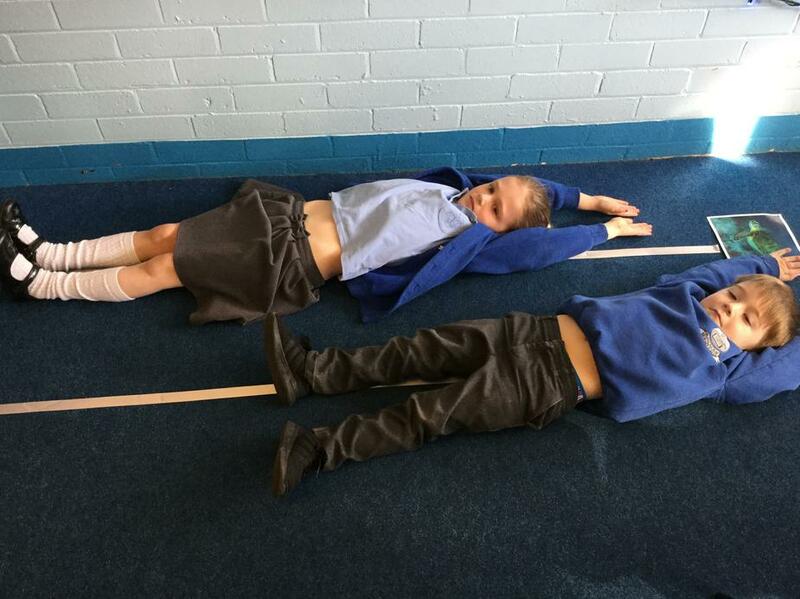 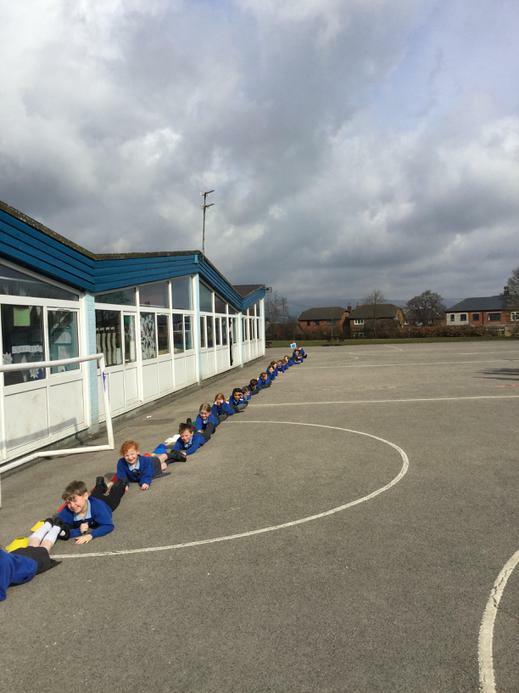 They also saw how long a blue whale is.